I will be handling the spreadsheets/threads. My feedback can be found here. There is around 4 days left in the auction, but I've left a little time cushion for bidding. No sniping, or time will be extended for that item. Now, please wait until all threads are up before you start bidding. Thank you! Edit #2: The one's with numbers in parenthesis next to them are former "mystery zukan". Be aware of this before bidding, and check the picture for yourself to double check. 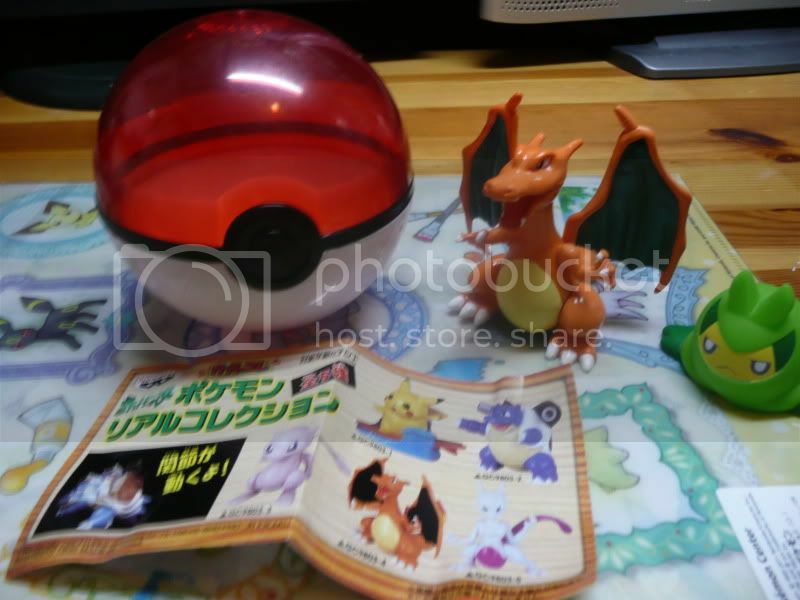 Edit (again): The seller has clarified that this auction does not include the charmander line. Sorry for any confusion! EDIT: ALL MYSTERY ZUKAN NOW HAVE THEIR OWN THREADS. Bid away! Hello, everyone! I'm Lotus, I'm new to the community. I'm a fairly new collector as well. I've been a fan of Poke'mon for a long time but my interest waned I finished Crystal. However Black and White (as well as a good friend) pulled me back into the fandom and now I find myself picking up plush dolls left and right! Well, as my paycheck allows anyway. These three here are my current pride and joy. While I wasn't a tremendous fan of the Diamond/Pearl/Platinum games, I absolutely love the mascot Sinnoh dragons (especially Giratina). My Giratina is a Banpresto plush; Dialga and Palkia are made by Jakks Pacific. Right now I'm waiting on a few more plushies, specially Jolteon, Swoobat, Darkrai and a Galvantula I ordered for the same friend who got me back into the series. Right now I'm having fun taking pictures of my beloved dragon trio in funny poses. I'd like to thank blackjackrocket for introducing me to this great community. :) Happy to meet you, everyone! Buttons and Magnets and Stamps! ♥ Oh my! Lots and lots of new things added! :D Buttons and Magnets and Stamps! ♥ Oh my! Sales update and a Want! Hi all! The photos in my sales thread are now back up (slowly transferring my photos to imgur). 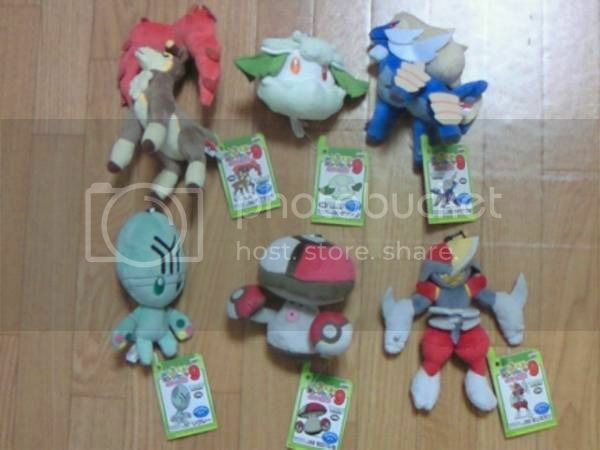 Click here for my sales which includes a used worlds 2008 binder amongst pokedolls worlds promo cards and other cool items. Also I'm looking for Wigglytuff items for a friend. I have no idea whats out there so show me what you have! No flats or tcg though. Hello All! Re-Re-Intro and Possible Wanted? I am always wondering when I visit my local anime shop if some of their plushes are bootleg. So I was wondering if anyone can identify these based on their swing tags? I don't have pics of the actual plush in question(reason below), but I have a drawing of what I remember the hang tag looks like. I'm trying to stock up for a big convention I'm selling at(ACen), but I am thinking of opening up some custom amigurumi commission slots. I'll be updating my sales page with some new stuff soon(mostly TCG stuff), and if I decide to take on some commissions I'll post that info too. Link to original auction and sales post! Old news, but they are having a pokemon centre satellite in Hong Kong, which I will be going tonight after work. I was originally very excited because they are selling bw pokedolls, and I would expect they would use a fairly good exchange rate (since that's usually the case with more jap goods here). I was hoping to get pokedolls for probably around $18 max. cardboard cut outs for sale! Alright, so I ended up disassembling the Gamestop shelving unit I had... Taking up alot of room, and my collection was overflowing from it already :p I knew selling the whole thing wouldn't be worth it because of shipping, so I decided to cut out the starters and dragons from it to sell seperately. (Jakks Dialga is pictured for size reference). Hey guys! I have a quick want here for my BF. He's been searching for a while for a talking Zorua plush. I know they are pretty sought after and hard to find these days, but I would really love to get it for him for our anniversary. I also have a nice big box coming from Y!J with a wailord in it. Expect more flailing, noodle arms of happiness when it arrives! Also got a few other things, but I won't share. I wanna keep it a surprise! 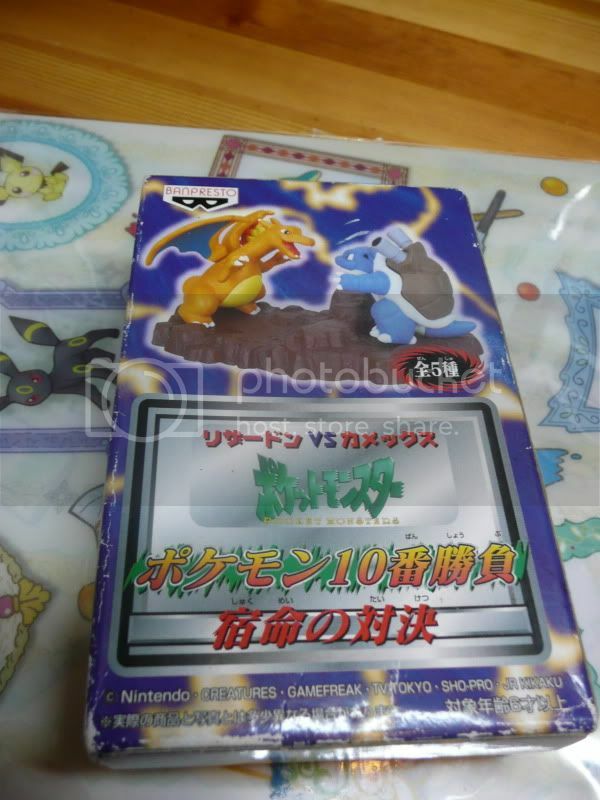 I am also looking for the shiny pikachu plush that was recently sold at I think it was the pokemon center. I usually don't collect pika things, but come on. Look at how ADORABLE that plush is! Custom pokemon patches! Lowered Prices! I posted about my custom patches about a week ago, in my reintro post (hi again!) 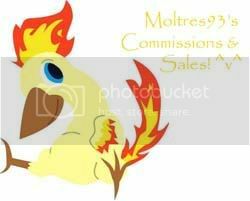 but I decided I would lower my prices a bit! I figured it would be ok to post again so soon because of this...and we do get two customs post a month, right? In part due to collection weeding, my sales have been updated with Jakks and Banpresto plush, Luxray Palace figure and more. Haggling is welcome, and I'd love to know if any prices seem too high. pokecen muskedeer plush! they come out february 4th and are 3,300 yen. i will not be here that weekend :) but i will be picking up them and everything else coming out in february a couple weeks after the fact. so have no fear! famitsu magazine also posted a page with info about the maggyo promotion, including a "why maggyo?" question and answer. since so many of you asked that exact same thing... i shall translate and tell you why! A: (provided by Pokemon company staffer "Mojamoja") "A Pokemon that leaves a strong impression the moment you see it, with such a huge hidden popularity he even has fans who call themselves the 'Maggyah'. I too, am a Maggyah. We have prepared core goods to tickle the souls of all Maggyah!" Many members are shocked at a Maggyo promotion. But he is actually one of the most popular B/W Pokemon here in Japan -- one could say perhaps, he has gone viral? Not only does the wildly popular Cilan/Dento have one, but his odd face and adorable troll-like behaviour have captured the hearts of many, somehow. I was told long ago by a Pokemon Center manager, "SO many have asked for Maggyo", I don't know why I was so surprised! Let me know if you want it shipped in a bubble mailer for 1.00 extra or just a letter. And a little commissions plug too.. 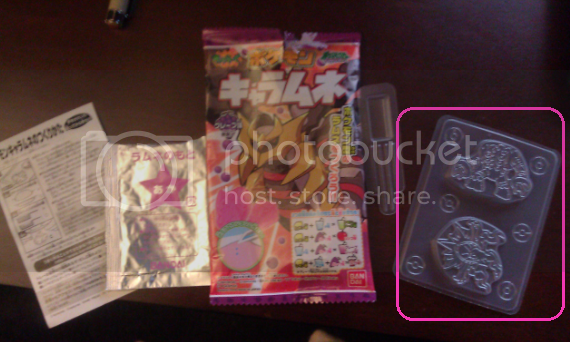 Reminder: Rare Banpresto Slot Machine Coin Bank Prize for Offers! Slot Machine still up for offers click the picture to head to the original post! I got so many packages on this week! And here's small sales, for mostly kid figures! TCG sales has some holo energies. Normal sales has a BUNCH of $1 and under items, with a few new things since the last time! You should totally check it out. Because you know you want to. I feel my commentary was boring today, sorry for that. I sometimes try to be entertaining but could not summon it today. -I live in Canada, but will cross the border and ship from the US (the return address will be blackfruitbat's, so if anything happens, it will be sent back to her!). All quotes will include shipping from the US. In some cases, if shipping from Canada would be cheaper, a quote with Canadian shipping will be given. Please note that the next time I will be going to the US will be at the end of January, so I cannot ship things until then. -If I have something listed in a set (both for_, etc) priority goes to the user that wants the set. -Quotes will include fees. If you don't want to pay fees, please specify you will be paying via personal payment. Ok everyone.., I didn't thought I was ever going to think I want a pkmncenter sleeping plush...but now I have fallen in love with the Snivy! Is it correct that denkimouse sold them for $65 (shipped) each? I recently got my hands on two very cute Dragonite gets! And I wanted to share what they were with you! Anyways what I wanted to ask since I don't know how to use YJ at the moment, is if someone can help me find one. I would be super grateful. Or if you're thinking of selling yours pls let me know. I am so upset right now since he was the last I needed to complete my bird trio and of course the hardest one to find. If you can help me out I will seriously give you something nice in return. custom kanto starter evo standees auction! do you like the FINAL KANTO STARTER EVOLUTIONS? do you like SUPER COOL CUSTOMS?! than LOOK NO FURTHER! cos we have the AUCTION for YOU! So! you've seen the pics and you want some of that sweet standee action. 'BUT FIZZYCAT' I hear you cry! 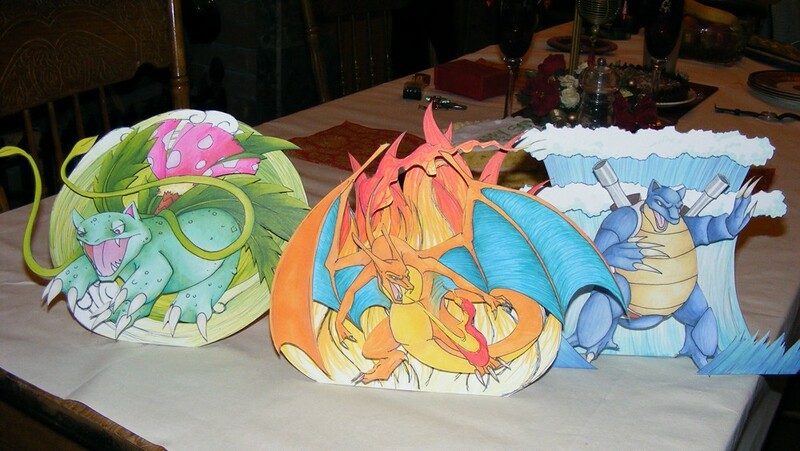 'How can I procure one of these super awesome pokeriffic pokestandees?! (tm)' well, dear friend, come right this way! MPC Set 9 GA Final Payments! Hey everyone! our GA plush are finally here!! Check the Spreadsheet for your final payments! :) My paypal address is glowingferret@gmail.com. Thanks to everyone who made this a successful group auction!